Pittsburgh is a city known for a lot of unique things: the ubiquitous bridges, the underappreciated inclusion of French fries on sandwiches and salads, and one of the most beautiful skylines in the United States. 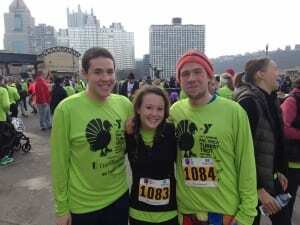 But did you know that Pittsburgh also has a vibrant running scene? 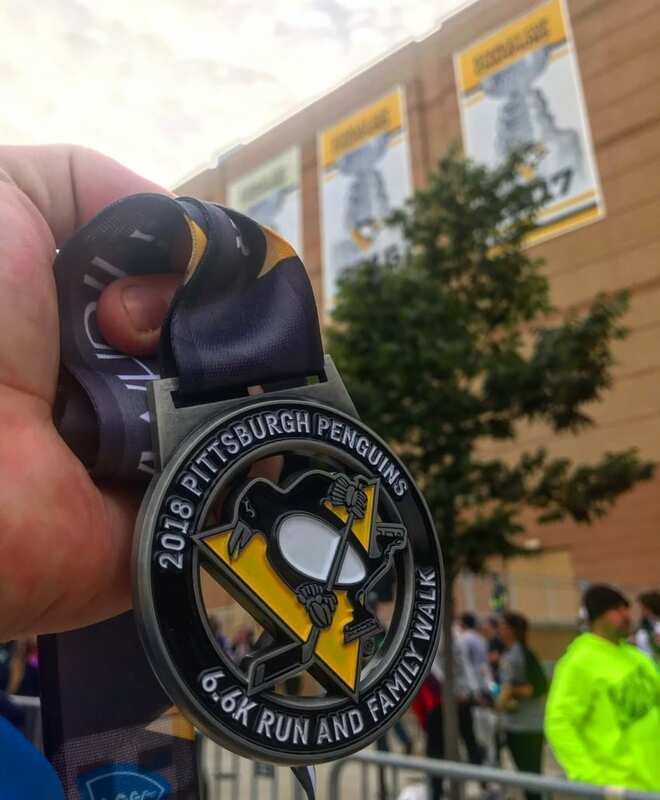 Over the last month, I challenged myself to run three of Pittsburgh’s largest road races in order to break out of the Tepper bubble and experience this wonderful city. The first race on the calendar was The Great Race, America’s third largest 10k! Since 1977, the Great Race has corralled 250,000 runners through some of Pittsburgh’s most beautiful neighborhoods. Not only is this race super fun and mostly downhill, but it’s also one of the very few large races currently becoming zero-waste. Enjoying a lovely fall day and not harming the planet, what could be better than that? 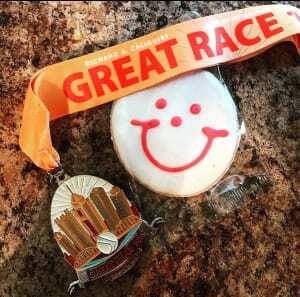 The only thing better than an Eat n Park smiley cookie is eating one at the finish line! The Great Race is also special to me because my cousins have run the race for years, and I got to meet up with them at the finish line! It had been quite a while since the last time I saw them, so this race will always hold a special place in my heart. Next up on the running agenda was the Pittsburgh Penguins 6.6k! For those of you who don’t know, Mario Lemieux, one of the all-time greatest hockey players, is not only responsible for the long-time success of the Pittsburgh Penguins, but also a large philanthropist. 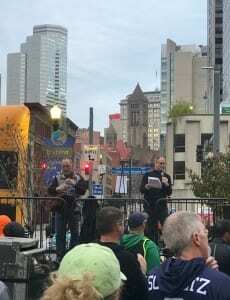 This run through downtown and Station Square was filled with smiling faces and former Penguins players cheering the runners on. 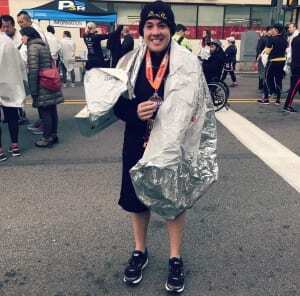 Aside from a long uphill in a tunnel, this race was a blast, and I highly recommend it for any casual runner looking for a fun weekend. 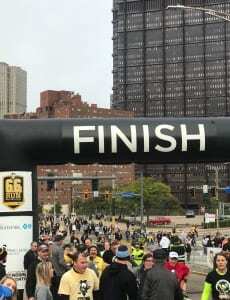 Mario Lemieux greeting runners at the finish line! Finally, last weekend was the EQT 10-miler. 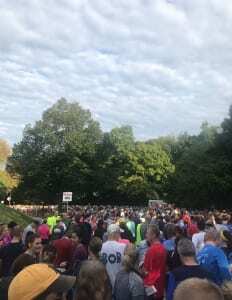 I hadn’t run a 10-miler since 2016, so naturally I was a ball of nerves at the starting line. Race conditions were “risk of hypothermia,” so I had a lot on my mind. Starting in Station Square and going through the North Shore and the Strip District, this race hit almost every major Pittsburgh landmark and then some. 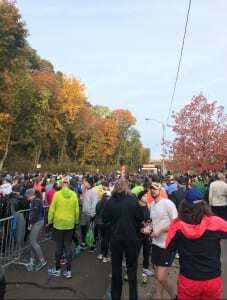 The thousands of participants and I enjoyed the generally flat course, the cheering fans throughout the route, and the bagels and gorgeous medals at the finish line. Look at all these cold runners! This tin foil thing made it all worth it! Although I can’t currently feel my legs, I’m so grateful that I signed up for these races and gave them my best shot! Pittsburgh is a great city for not only experienced and very fast runners, but also runners that like to stop and smell the flowers, like me! 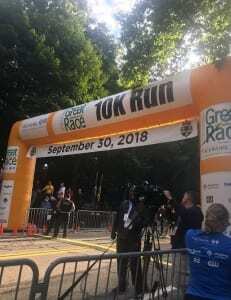 I might not be an elite athlete (yet, but the 2020 Olympics are still pretty far away), but I feel right at home in the Pittsburgh running scene. What’s next for me? 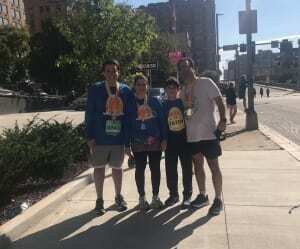 Our family tradition of running the Turkey Trot before devouring turkey and mashed potatoes in a few weeks, followed by the Pittsburgh Half Marathon in May. Wish me luck!